Another major advantage of creating a site in Wordpress is that you can migrate your WordPress site from one hosting provider to another hosting provider without any hassles, meaning that you can copy exactly. If you are currently on a shared hosting plan and now want to move to Digital Ocean, Google Cloud or Amazon Cloud, this tutorial might prove to be a great deal of you. But there are many hosting providers that offer free and managed site migration, for example - Bluehost; Their support team will help you migrate to their platforms from the previous hosting provider, you will not have to do anything. There is no alternative to the cloud to take your website/blog to the next level. But if you are new to it, then trouble can be free and in many cheap (Cloud but not too cheap!) 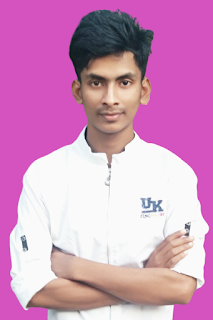 To host your first website at Bluehost. 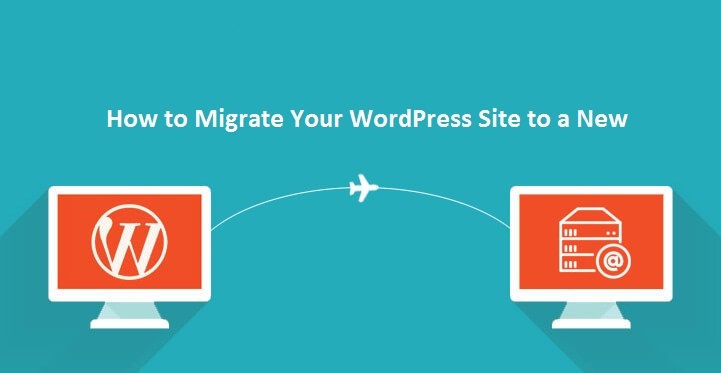 This tutorial has been taught to migrate WordPress sites using a free WordPress plugin - which is a much easier way to create backups from hosting panels and to switch to another hosting! Login to your previous WordPress site and click "Add Plugins" from the admin panel and download All-in-One WP Migration - Plugin. Activate the plugin when you download it, then you will see the All-in-One WP Migration plugin option on the WordPress admin panel sidebar. 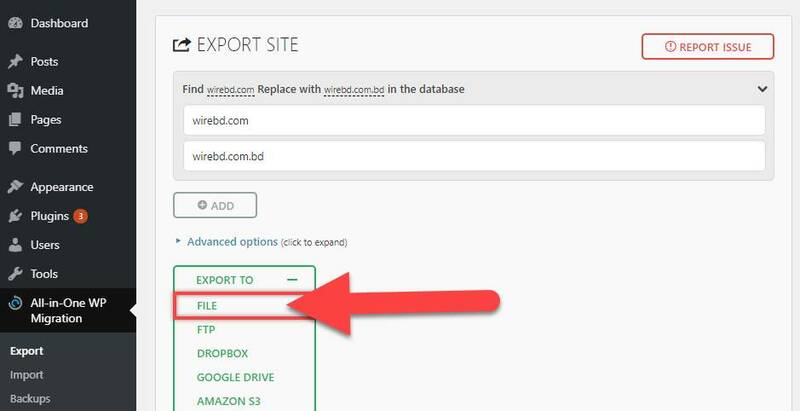 From the Dashboard of All-in-One WP Migration Plugin, if you want to transfer your site to the same domain, do not have to do anything, just click on Just Export To> File. But if the existing site domain and the new site domain are different then enter your current domain name in the Find field and your new domain name in Replace with field and click on the ADD button, then click Export To> File to export the site. Finish the job! In the meantime, the full backup of your Installation site will be created and you will have to download it on the last computer. log in to the new WordPress site, which is installed in the cloud or separate hosting. And yes, if you want to keep the site and current site domain the same, then after exporting your website, your domain will be parked on the new WordPress site. Then log in to the new WordPress installation, download the All-in-One WP Migration plugin here too. Then, click Import Option of All-in-One WP Migration. 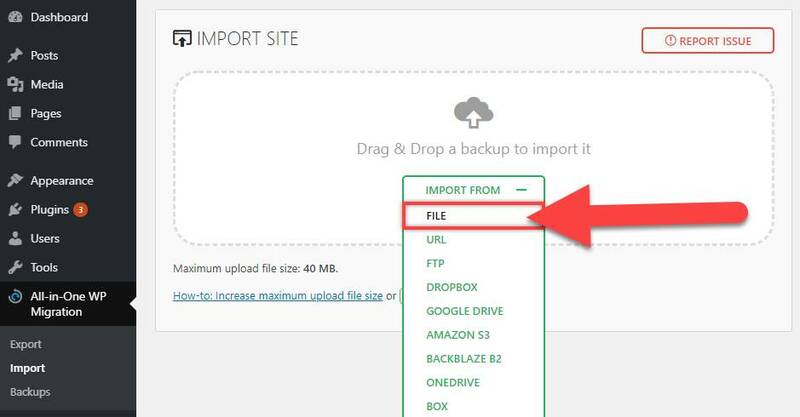 Now click on Import From> File and show the downloaded backup file from your computer a while! Diameter, your site will become auto-migration. The exact copy of the previous site will be created on a separate site or your hosting migration will be done. ➤ Note: Free All-in-One WP Migration can upload up to 40 megabytes of size in the plugin, if your site is larger then you have to buy its pro version. But do not worry, I'll teach you how to upload an unlimited size backup! Prior to the free version of the All-in-One WP Migration plugin, there was a limit of 512 MB, but now it has been reduced to 40 megabytes. Which is very less. So you have to hack the plugin limit, otherwise, you will have to buy the pro version with money. Because its limit is easy to bypass, and you can do it yourself, so do not see any other reason to buy with money. And yes, the method to hack this limit does not work with the latest version of this plugin. You need to install version 6.77 or later versions. All-in-One WP Migration Plugin version 6.77 - You can Download it from here. 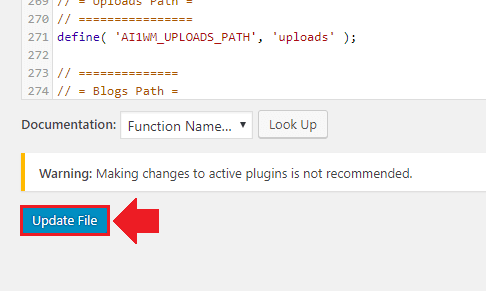 After downloading the plugin from the above link, upload the downloaded plugin from the WordPress dashboard to the add new plugin. And yes, of course, the latest plugin should not be there, if you have already installed it must first be uninstalled. After that, the downloaded plugin must be activated! Now you need to Login to the Plugin Editor from the WordPress Dashboard plugin section. On the top right of the Plugin Editor page, the option to select the plugin is given, select All-in-One WP Migration Plugin! 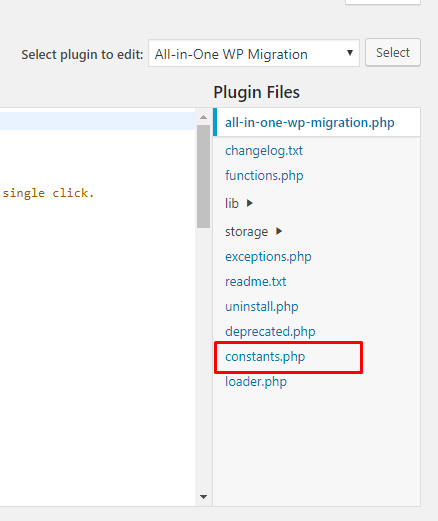 Once the All-in-One WP Migration plugin is selected, you will see a file called constants.php from the right sidebar, click on it! Scroll to the constants.php file editor and move to line number 284, then you will see 2 << 28 in the Max File Size section, which will be edited by 2 << 33. Then, scroll down to the Update File button, so that the changed code is saved. If everything is okay, then the maximum upload file size will display 16GB! 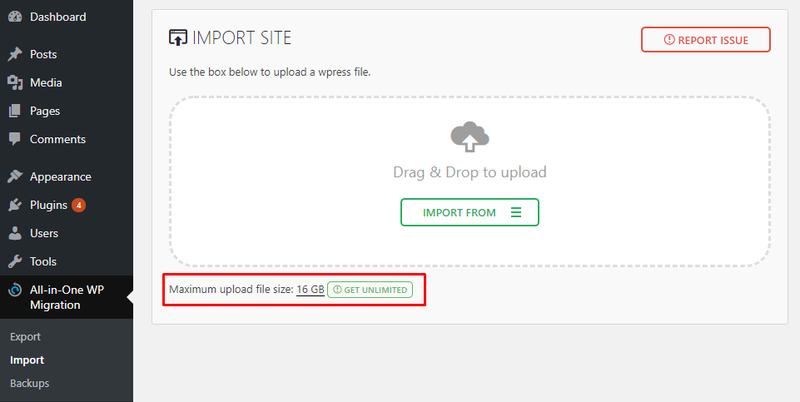 can upload files as desired, and do not have to be limited to 40 MB limit! And yes, if your site migrates this way your site will be copied exactly, so no settings or SEO will change anything. If you change the domain, then you have to show the new domain from Google Webmaster Tools.